If you know or are aware of anyone who is either homeless or sleeping rough this winter, help is at hand. 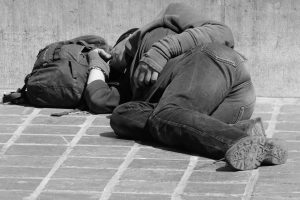 Vital information designed to help, advise and work with people who have found themselves without a home or sleeping rough on the streets, especially during the harsh cold winter months, is readily available via Sefton Council’s website. If you have nowhere to stay or if it is unsafe for you to return home, or you will be homeless within the next 56 days, you should contact our Housing Options Team immediately. The Sefton Housing Options Team are ready to help and are available Monday to Thursday (10am to 4pm) and Fridays (10am to 3pm) by calling 0151 934 3541. For people who become homeless when our office is closed, Sefton Council’s Health and Social Care Emergency Duty Team manages our out of hour’s service. The service is for emergencies only and can give you general advice and will be able to assist you to find temporary emergency accommodation. You can contact the Out of Hours service on 0151 934 3555.